This solution is the best all over! The other "reinstall" and "official" solutions (http://support.microsoft.com/kb/2231628) are far more complex. wow - what can I say!?! all of the articles ive read and all of the wasted time to try and resolve this problem - even Microsoft store could not make it stop. one stroke - 10 minutes later - and voila! I was searching all over the web, trying to find a solution. The same error that you described I had. I could not use outlook because of that stupid error. Thanks, many thanks, I hope the best for you and your blog! Just as other persons here have state: the Microsoft solution was a mess, and was folder specific, rather than being message specific. This solution was simple and resolved the problem perfectly. Thank you for posting this solution. Thanks for taking the time to share your solution - much appreciated!! Short and precise. Thanks a lot for posting this type of solutions. You should receive an award from MICROSOFT. I can only echo what others have stated above - thank you for the fast and easy solution to this problem! MS solution is at best cumbersome, and sometimes don't work. This page is now bookmarked for me! Have to explain something: I live in Holland, it's 1.33 at night! Thank you very much! It worked! Very much appreciated! Jason - Thank you for the great solution. Definitely resolved the error. Very easy instructions to follow. However, it also deleted all my Tasks. Yikes! So I had to restore the deleted file from the Recycle Bin. The Tasks and the error are both back. Guess I'll have to learn to live with that silly error. Darn. Thank you! Been trying to find a fix on and off for a couple years on this! Microsoft was absolutely no help as others have stated! 17:45:12 Operation Failed Sending and Receiving. this also worked for my emails but I didn't realise it was going to delete contacts, tasks, notes and calendar too. Contacts haven't all come back and calendar on my iphone is now scrubbed! Have you any ideas on how to get all this data back? Following up my last post, I've turned my iPhone off and on again and Voila, the calendar reappeared. It seems like it simply hung for some reason. Thanks again. And as for the Notes that got lost, I've recovered them from a previous backup copy. This works period. Any error starting with 0x8004102A is cured. Have faith and do it! I renamed the file just in case - not needed. It does take a while to download fm Hotmail. Put the file referred to in your start search and it comes up. Open and rename the file with your email address. Excellent work. Many thanks. OMG... finally a REAL solution... what the heck Microsoft doesn't even understand it themselves... I DELETED my delete box and BAM! it worked... thank you sooo much!!! Finally a solution. Many thanks to Jason Hartman. I have this problem and I don't have a smartphone. I only read mail on Outlook on my desktop PC. What can I do to fix it please? Hi yes I had the same issue some time back. I cleaned up my hotmail email account via the browser interface. The the next time I launched Outlook I got the Outlook error message as above 0x8004102A. My sync problem was with the Deleted Items folder. I fixed it at the time via the method above. Rebuilding the .ost file by simply renamed the existing one. Me too as Fernando Castro, I receive Error 0x8004102A not as CHANGE 1133, but as DELETED 2329! And it creates a synch issue at every Send/Receive action. Do you have a cure for that? Top of the class sir! spent ages on this you answer had it sorted in seconds! Well what can I say, I've been banging my head against a brick wall for 2 days, then came across this solution. Thanks it sorted my issue out. Now very happy. I have no .ost file to delete. I have a .nst and .obi. Hey, this worked for me too - Outlook 2010 on Windows 10. Had the issue on 8.1, upgraded to 10 but problem came with. Applied your fix and all good now! Didn't have a MyEmailAccountName.OST file but renamed all four data files associated with MyEmailAccountName without an extension, worked first time, no apparent loss of data. Had this exact same error a week or two after installing the MS Outlook Hotmail Connector. Was utterly unsure what to do. Had a good look around and most offerings didn't look right, however your post just looked correct, so I tried it and bingo, problem now gone away. Thanks v much. Solution still works in 2015 under Windows 10/office 2010. So great and thanks! I tried this w/ Outlook.com and my mail and contacts restored correctly. However, none of my Outlook.com calendar entries were synced and I ended up w/ a blank calendar in Outlook 2010. Also, some options like fonts and grouping reverted to Outlook defaults. I can live w/ that but not without a calendar. I may continue investigating to see how to get my calendar to sync. I tried again and just waited for a few syncs to take place. The Outlook.com calendar eventually made its way to Outlook 2010's calendar. A brilliant and simple fix, well done Jason as this worked for me Feb 2016!! Not just a simple fix, but a good explanation as to the why's and wherefores of the problem. Either these people are your friends, or this actually worked for them. I am still having the same problem. I deleted my PST file, removed my email profile, added a new one. 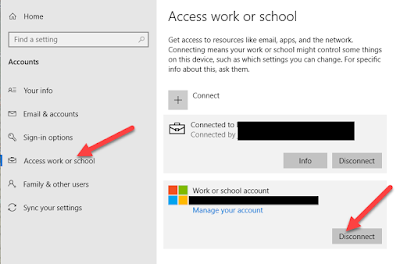 Configured my email using Microsoft outlook connector and I am still getting the same problem.